More and more schools, educators and students are embracing technology in the classroom. With that comes the need for increasing our school’s bandwidth and speed. After all, who doesn’t like speed, especially when it comes to internet or network connectivity? If these two words make you scratch your head, don’t worry, you’re not alone. Internet speed affects how quickly you can download files, watch online videos, and even how many devices you can have connected at one time. For simplicity sake, let’s say your internet connection is like a garden hose and the data that flows through it is the water. You start out watering with one sprinkler and that works just fine. Next, however, you need to add a second or third sprinkler, but now you notice the amount of water coming out of each one is now drastically reduced. At this point you have only two options. You can either buy a wider hose that can deliver more water or reduce the number of sprinklers in the yard. What do you plan to do online? Will you need to play games, watch TV, surf the web? How many devices (sprinklers) do you plan to connect? The more devices the faster the Internet plan you will need to support them. If you order the wrong plan, no problem. Most providers will allow you to upgrade to a faster plan with a simple phone call. If you plan to allow a large number of people to connect to your WiFi, you will want to work with your service provider to ensure you have enough WiFi routers to ensure all users have a strong connection. How do I know if I need my service provider to increase my Internet speed or install more WiFi routers? If you notice the Internet becomes very slow when a large number of students are online, this is a good indicator that you need to increase your speed. 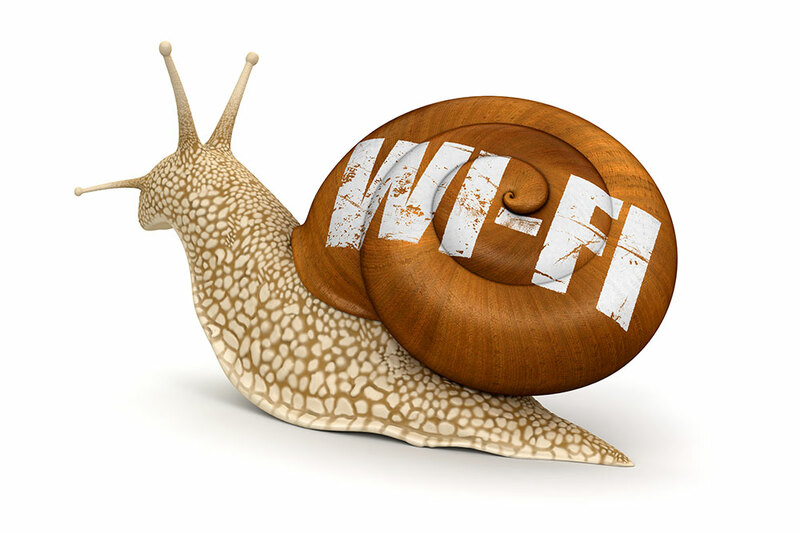 If students report that they are receiving a weak WiFi signal or their connection continuously drops, this can be a sign that you need additional WiFi routers installed. Your Internet service provider will have tools to be able to quickly diagnose the problem and will then be able to suggest what is needed to ensure you can support all of your users.